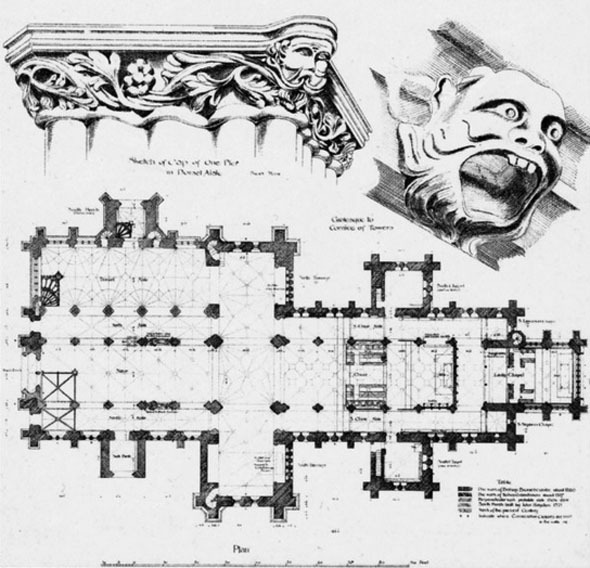 Nikolaus Pevsner described the building as as “lying large and low like a tired beast”. It is 163 feet long, and the towers are 71 feet high. It was consecrated in 1260, at which time the manor and patronage of the church belonged to Rouen Cathedral, as it had from before the Norman invasion. Pevsner assumed that the tower-transepts and the outer walls of the chancel dated back to 1260, and that the towers were built in imitation of those at Exeter.